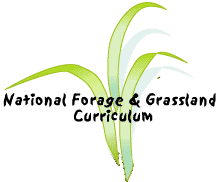 There are many types of resources that go into producing food and producing forages. In general these resources have been grouped into two types: renewable resources and nonrenewable resources. Renewable resources may be defined as resources that have the potential to be replaced over time by natural processes. The renewal process may be relatively quick, as with sunshine which comes on a daily basis. Or, the renewal process may be very slow, as in the formation of soil which may take hundreds of years. Nonrenewable resources may be defined as resources whose stock or reserves is limited or fixed. The available supply of nonrenewable resources may be replenished through recycling (e.g. recycling aluminum cans), but the overall supply remains relatively constant. The table below gives several examples of each type of resource. Examining the resources listed in the table above suggests that modern agricultural production, including forage production, is dependent on a number of resources that are considered nonrenewable. Farm equipment contains steel and aluminum parts and uses oil based fuels. The energy to manufacture fertilizer and other agrichemicals is derived from oil, coal, and natural gas. Phosphate fertilizers are widely used on crops. The realization of this dependence on nonrenewable resources has led to increased interest in developing and implementing so called sustainable agricultural production systems, as will be discussed in other sections of this lecture topic.